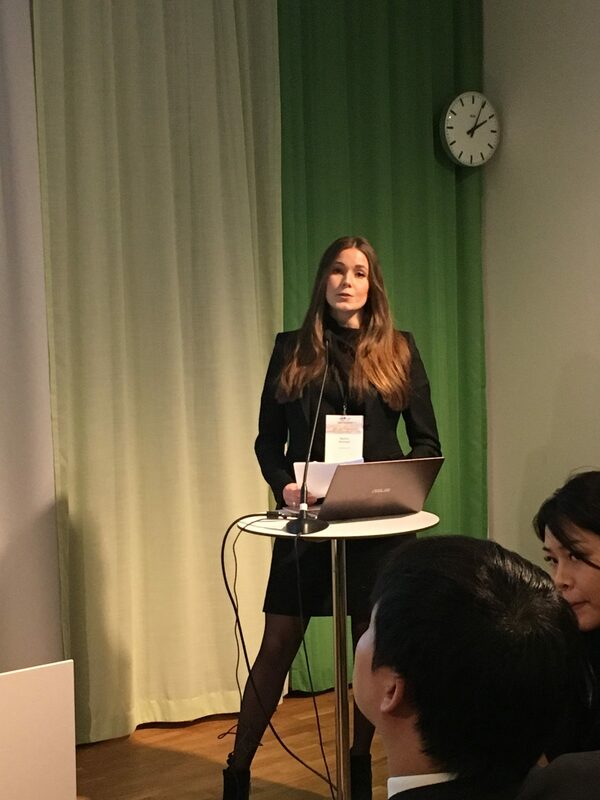 Nordic China Smart City Conference 2019 was a very exciting and interesting experience. More than 200 Chinese and Nordic business and governmental representatives gathered to discuss challenges within environmental degradation and health care. The purpose of the conference was to promote how Nordic innovations and green technology can provide solutions to the eminent needs in the Chinese society. Air pollution was a frequently mentioned topic and during panel debates it became clear that there is a lack of high quality sensors providing reliable air quality data. Not only was outdoor pollution described as a huge problem to human health, indoor air quality was as well mentioned. Putting the two problem areas on the stage at the same time really highlighted the scope of the challenge with air pollution, and not least the emergency to control it. Within this context I had the opportunity to pitch our InAir sensor to both Chinese and Nordic companies and governments. It is such a good feeling to represent a company who provides a technology that invokes such big interest and receives positive feedback. For me it was a big confirmation of Insplorion and the InAir doing the right things. Other than that I also got valuable contacts working with bringing Nordic companies to the Chinese market. If I could describe these days with one word it would without doubt be rewarding. Hey! My name is Martina and I am a student from Matix – a master program at the school of economics, business and law at Gothenburg University. Insplorion is a part of the Matix program, meaning that they get a business student for two days a week for one year. My role as a Matix student at Insplorion is to help with strategic planning, business development and other organizational management. This is an amazing opportunity to get hands on experience and apply what I learn in school directly in reality! Being involved in the InAir sensor is something that I am very passionate about since I have a background in environmental science and corporate sustainability. Therefore, Insplorion is the perfect place for me to develop my skills outside the class room.